Innovate, build, and deploy globally with Stepes on-demand and real time localization services. We help the world’s top companies localize their software applications and websites in over 100 languages with the highest linguistic quality at affordable prices. Stepes (pronounced /’steps/) provides complete localization services and solutions for software localization, website globalization, online help and user manual translation, and localized product testing. We have the necessary field experience, linguistic excellence, and robust technology solutions to ensure your localization projects are always completed on time with utmost quality. We have optimized the localization process by automating many of the unnecessary human touch points so our clients can accelerate international product releases and speed up time-to-market. In today’s rapidly growing global marketplace, businesses must efficiently localize their products to resonate with local audiences in order to win international customer loyalty. Traditional localizers with overly complicated language localizing processes and workflows are too slow and costly to meet modern digital requirements. Companies now need agile localization services that are easy and affordable and operate on a 24/7 basis. This is why Stepes’ cloud-based and on-demand localization solutions are helping leading global companies localize their products for the best language translation services at the fastest speed. With Stepes, whether you’re looking to localize your software apps, user documentation, or website you no longer have to wait days to just receive a cost estimate. Our intelligent online platform is able to analyze a variety of resource file types automatically and provide you with instant project quotes. Simply upload your files and follow three simple steps to get what you want localized. Our system automatically extracts strings from your software source files or user documents, for translation by professional human translators matching your industry and subject matter field. We test the localized application or website to ensure the highest linguistic, cosmetic, and functional quality by performing testing and bug fixing all through our highly streamlined online dashboard. Simply download your localized files or use Stepes’ proxy web hosting solution to launch your localized application or website for the most efficient localization execution within the industry. Stepes localization services cover 100 of the world most popular languages, from Arabic and Brazilian Portuguese, to Cambodian, Simplified Chinese, or Canadian French. We have experience working with bidirectional, right-to-left language and multidirectional languages. Stepes streamlines software localization processes to allow companies to easily manage the entire localizing workflow online. Simply upload your resource files (RESX, XML, XLSX), release notes, software update packs, online help or user manuals using our easy to use online dashboard. 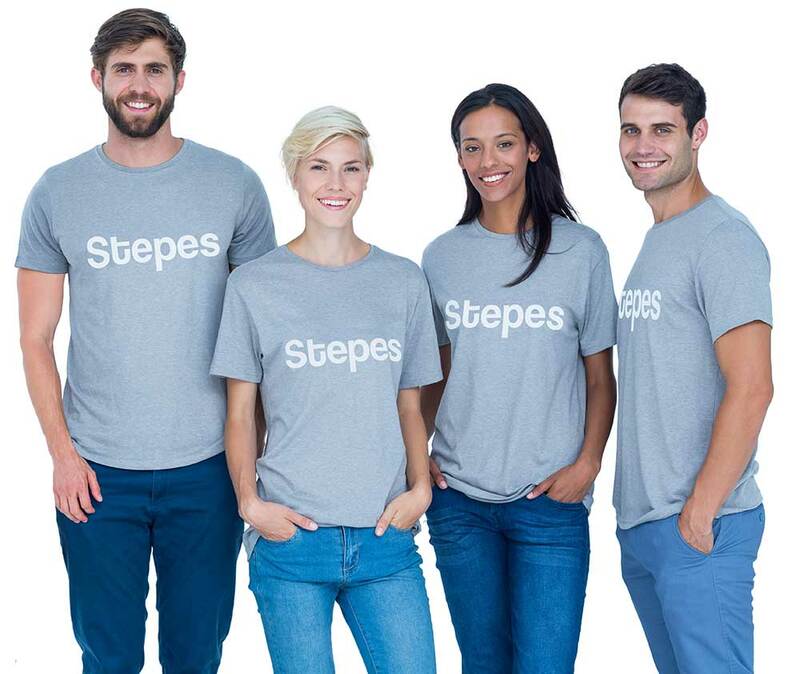 Stepes’ unique cloud translation management capabilities allow you to get your software applications localized at the fastest speed while ensuring linguistic quality and easy upgradability. Our cloud translation memory system allows legacy translation to be leveraged in real time for the best linguistic consistency with a shortened localization cycle. Modern software development methodologies have made the localization of software applications much easier. This is because GUI strings, alert messages, and menu texts are all organized into external resource files such as RESX, XML, and TXT, etc. These files are highly portable and easy to process making them ideal for language translation. To localize a software application, the translation vendor first translates the strings into the corresponding languages. However, since these strings live in isolation of the actual interface or context, the localized software must be linguistically validated to ensure the highest quality. Other factors affecting localization quality include the expansion or contraction of foreign language texts compared to English or the source language, as well as different number, date and currency formats. Word orders also vary for different languages and this is why software developers should always try to avoid using concatenated constructs to form sentences dynamically. Full service software localization also includes tasks for dialog boxes, as well as localization testing for cosmetic, and functional performance. Stepes has one of the translation industry’s largest technology infrastructures so we can help our clients efficiently complete software localization. We also provide on-site linguistic support at our clients’ office to ensure the most optimal performance. Localization is the process of preparing your products such as software applications, websites, or manufactured goods in various languages so they look, feel, and function exactly like products made locally and in-country. Localization consists of translating and adopting the contents such as software GUI strings, online help, web pages, and user documents so they resonate with local audiences both linguistically and culturally. Additionally, it involves testing, bug fixing, and publishing the localized applications and content so they are error free and fully functional. Modern localization requires sophisticated tools and optimized processes in order to achieve the best results which is a reason that most companies hire a 3rdparty localizer, or LSP (Localization Service Provider) to help them localize into other languages. When it comes to localizing software applications or websites, language translation alone is not enough. Once the translated texts are put back into the application, they can generate a variety of issues such as truncations due to translated text expansions (German and Dutch words contain more characters than English, and Chinese, Korean, and Japanese occupy less space horizontally and more vertically), missing translations, broken links, or encoding errors. This is why the localized application must be thoroughly checked running on different platform or browsers to fix all linguistic, cosmetic, compatibility, and functional issues. Localization testing is an important and integral step for professional localization services that’s often overlooked, causing poorly localized software to be released prematurely or delaying product launches. L10N is a popular abbreviation for “localization”. It takes the first and last letter of the word localization and then uses the number 10 to represent the 10 characters in between. L10N can be used interchangeably with localization. Are you looking for localization best practices that help drive project efficiency while reducing translation costs and improving quality? Then this compact, step-by-step guide is a must read. We have compiled a list of tried-and-true tips and methodology improvements obtained through our many years of helping global companies localize in European and Asian languages for the best results. You can also contact Stepes to arrange for on online training session so your software team can learn how to internationalize your products for the best results the localization industry has to offer. At Stepes, our localization experts provide a full range of internationalization consulting services to help your developers better design software products for easy downstream localization. Topics on Unicode, double and multi byte enablement, right to left languages, currency and date formats, better user interface design, images (with text) and icons, and using simple English can all impact your future product localization. Talk to us today to arrange for an I18N consulting session and learn from the best to achieve the highest internationalization ROI.